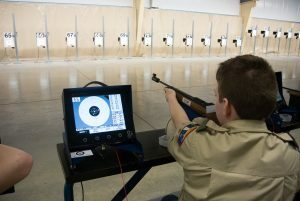 Each summer the Civilian Marksmanship Program (CMP) sponsors a popular series of Junior Rifle Camps and Clinics to teach intermediate and advanced rifle marksmanship skills to junior shooters and their adult leaders. This bulletin provides detailed information about the camps and how to apply to attend them. You may click on each of the following camp links to learn site-specific information about each camp. All camps are one week long, with the exception of the Outreach Clinics and the Advanced Standing Camps. 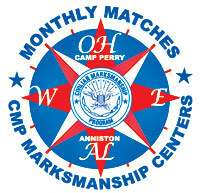 For the first time, the CMP Junior Camps will also include a smallbore camp. This, for the time being, will be run on paper targets on an outdoor range. With that, there is some weather related risk to the camp, however, there will be contingency plans for if the weather becomes too much to handle. The tuition the CMP charges for these camps does not begin to cover the total cost of operating the camps; the CMP subsidizes the camp program through its budget for the camps. First, read the camp information page linked to your desired camp. A $50.00 deposit or full payment and a Medical Release Form is required with each athlete and adult Registration Form. Incomplete registrations will NOT be accepted. All deposits are nonrefundable. Links to the Registration and the Medical Release Forms can be found at the bottom of this program. Payment for camp may be made via check or credit card. Fees submitted with registration forms will be returned in the event a desired camp is full. Adult Leaders will be notified via email of athlete/team acceptance to a camp. Adult leaders: please provide a valid email address and phone number with registration form. Participants unable to attend a camp, for which registration is complete and fees are paid, must notify Chance Cover or Catherine Green in writing two (2) weeks prior to the beginning of their selected camp. Fees (less the $50 deposits) will be refunded for good cause shown prior to 10 May. Cancellations, with good cause shown, after 10 May will receive a refund for half (1/2) of the camp fees. THERE WILL BE NO REFUNDS GIVEN FOR “NO SHOWS”. Instructions to find or create a CT# can be found here. To register online, you must log into Competition Tracker (CT) separately for each individual that is registering for your group. This means you will need the Competition Tracker User Name and Password for each person. 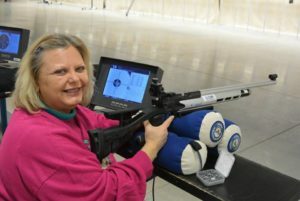 Team registration is not possible for Junior Rifle Camps. You must register each team member separately. These are fillable PDF forms, meaning you can type directly on the form then save a mail, email, or fax into CMP.